What is something that makes its recipient physically exhausted and emotionally stimulated all at the same time? An activity that takes all of yourself, yet you continue to willingly give more. For a moment, you are able to step away from your busy hectic life and drown yourself in the beauty of culture. Yes, you guessed it. Traveling. Going to a new place with a constant buzz of wanderlust is one of the greatest things I’ve ever experienced, especially when one does not only travel to a new place, but also to a new culture. Why do I like traveling so much? Simply because of this quote: “When you’re a kid, they tell you it’s all… grow up, get a job, get married, get a house, have a kid, and that’s it. But the truth is, the world is so much stranger than that. It’s so much darker. And so much madder. And so much better.” (Doctor Who). I want to see that world. Now, I just came back from a long, strenuous, beautiful, and enchanting trip to Europe, specifically Stockholm, Sweden and Tampere, Finland. Claude Monet once said “Every day I discover more and more beautiful things. It’s enough to drive one mad…” I believe my European experience was exactly that—a conglomeration of beauty. 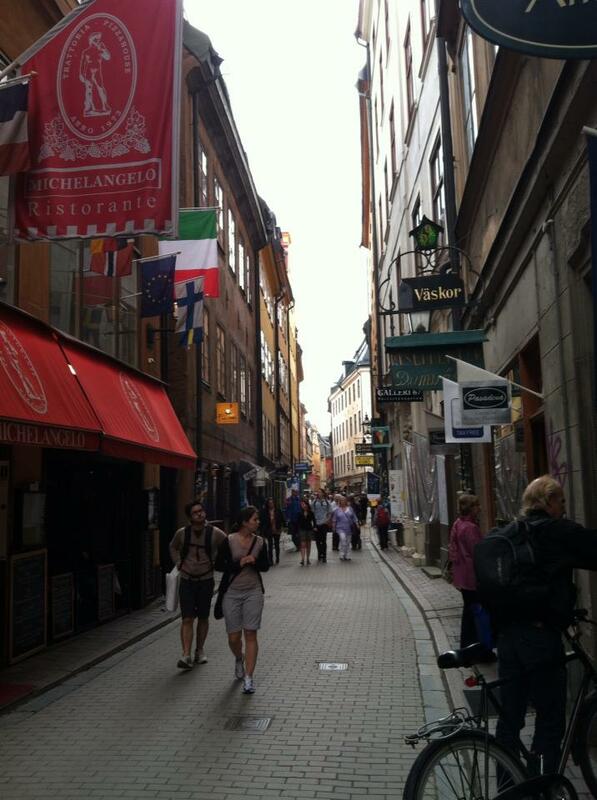 Strolling through Stockholm. Just beautiful. 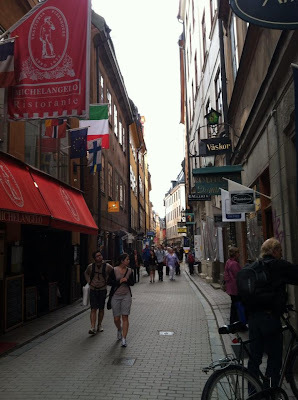 Walking down the cobblestone streets (Please America, get some! ), I felt drenched in the history and culture surrounding me. A man speaking in a different accent. Foreign letters coloring the signs. Foreign billboards. New and different foods. Foreign. New. Foreign. New. Excitement. Thrill. Adventure. I could go on and on. See, when I travel, I want to be completely taken back and surprised. Sweden and Finland did the job for me. Having completely novel people introduced in my life with their own culture, languages, mannerisms, and more was a complete roller coaster of excitement. One of my personal favorite Swedish & Finnish cultural perks was “fika”. Now “fika” (pronounced fee-ka) is the coffee break for the Swedes and Finns. Wait a second…Americans have coffee breaks too, right? Well, not like these people. Picture delicious food, arraying from berry crepes to delicious foreign cinnamon rolls, always at the grasp of your hand. Being a snack eater, I gave my stomach a cloud 9 experience with fika. My stomach was much obliged. Of course, after the fika, sauna was the next step to my American transformation. Again, yes, the sauna is something Americans have too. But, we don’t take advantage of its full potential, like the Swedish and Finnish people do. So, next time you go to either of these countries…do not skip out on their perks. Sauna and fika? Yes, please. 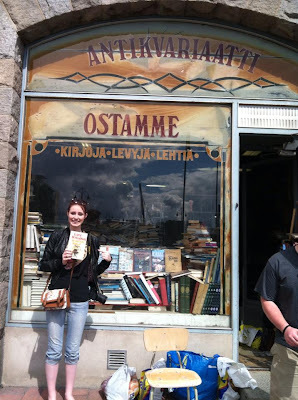 Grabbing my Finnish Ernest Hemingway copy of "And the Sun Rises" in an authentic Finnish bookstore! When I was traveling with my wee romantic heart amidst Sweden, I had a Swedish friend tell me something surprising about his country—marriage was unpopular. Marriage is handled much differently in Sweden/ Finland than where I come from. Living in the Bible belt, marriage is traditional. In the circles that I run in, the guy and girl meet, develop a strong attraction for the other, date, fall in love, and marry. It’s as simple as that. Take marriage out of the equation? Might as well tell me that dragons and knights were still roaming the countryside. So, once I arrived home, I did some research concerning the subject. Practically every web writer I read spoke about the unpopularity of marriage in Sweden. However, as I thought about it, I was less surprised. In America, we don’t realized how divorce has become one of our identifying figures to other countries. 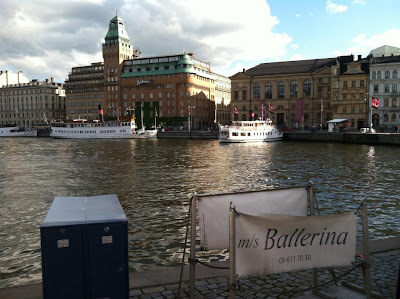 Going to Sweden as a foreigner, I was taken back by how marriage is treated differently. Yet, when a Swede visits America, he or she is probably equally surprised by our high divorce rates. When you go to different countries, EXPECT differences. When you marry a man, expect that he will have a weakness or two...if you don’t, then you may feel angry and divorce him. Don’t divorce a country—Number one rule of a traveler. Just because you may disagree with a country’s standards does not mean you have to disrespect it by any means. I adore both Sweden and Finland, although I disagree with them in some areas. Stockholm, Sweden...Truly a beautiful place. WOW. I love how you describe your wanderlust and your experience there! 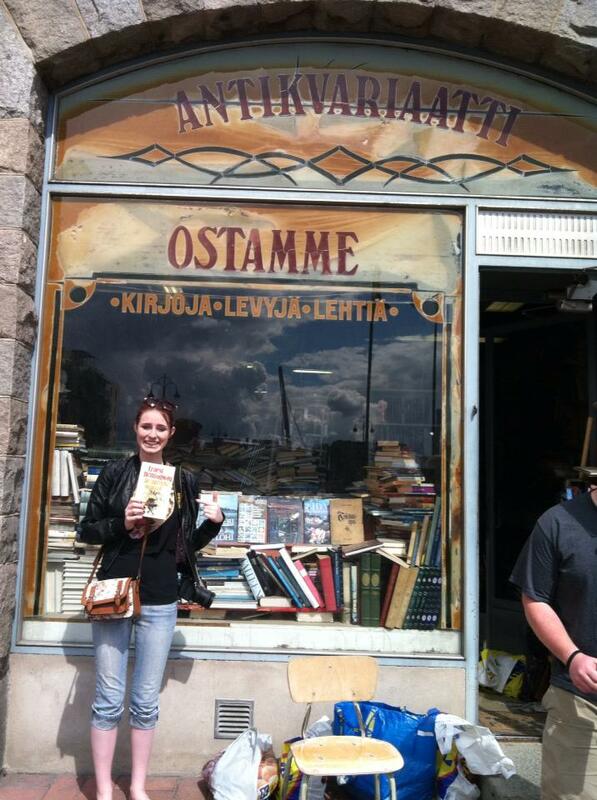 The insta-love; Sweden/Finland as your Romeo is brilliant! 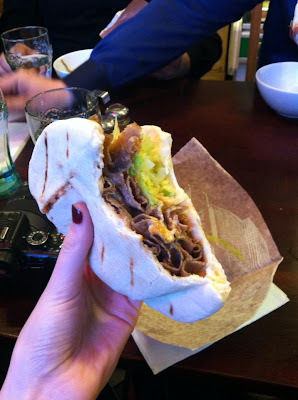 And the quirkiness: "my stomach was much obliged." So funny. The insight that you give about the marriage issue is probably my favorite part of the post. I never thought about it like that. I grew up in a Christian home and I still have the same values. The fact that marriage is apparently so undervalued there really breaks my heart. It's completely foreign! Well...literally. Thanks for your thoughts! 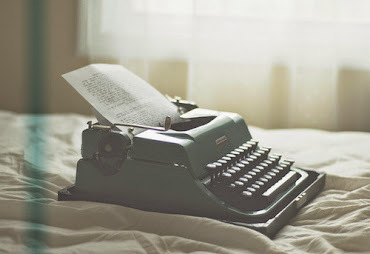 Reading blog posts like this is much more helpful and entertaining than reading a travel guide.